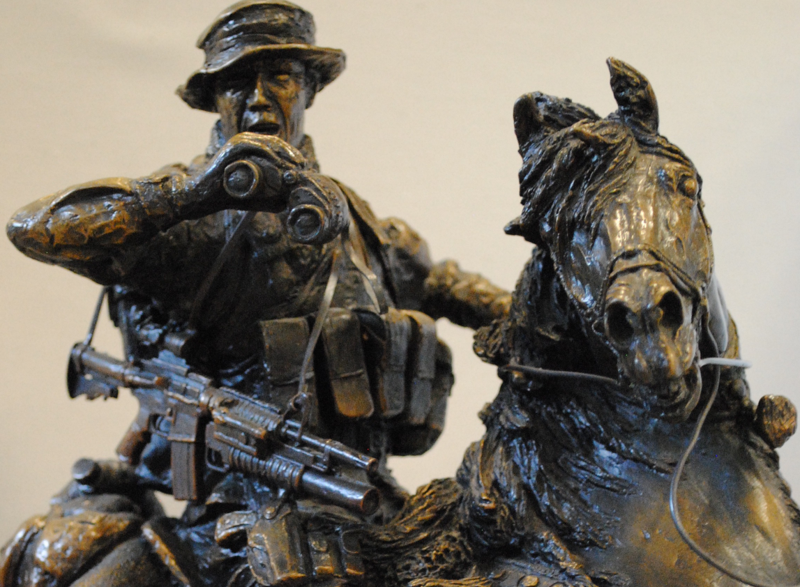 A detail of 'Special Forces Soldier on Horseback,' a sculpture by Douwe Blumberg in the Command and General Staff College's collection. For years, Col. Doug Tystad (retired) regarded the little bronze statue as a cowboy. He’d walked by it countless times on his trips up and down the halls of the Command and General Staff College in Leavenworth, where he’s the CEO of CGSC Foundation. Then one day he paused to look at the figure. “He wasn’t wearing a cowboy hat — he was wearing a flappy hat. And he wasn’t wearing cowboy boots — he was wearing combat boots. And he was carrying an M2O3 grenade launcher. And I went, 'Oh my goodness,'" Tystad recalls. The dedication plaque read "In Recognition of the Special Forces Soldiers in Afghanistan." The piece had been given to the college by Kansas City civic leader Landon Rowland. The statue is one of nearly 4,000 gifts the college has received from Americans and high-ranking foreign officers since 1943. Scattered around campus in hallways, offices, the library and stored elsewhere, the items tend to go unrecognized simply because there are so many. Only a quarter of the pieces have been displayed around facilities in Leavenworth. Officials at the Army college, which has educated foreign and domestic officers since 1895, have little idea of what's contained in their archive. 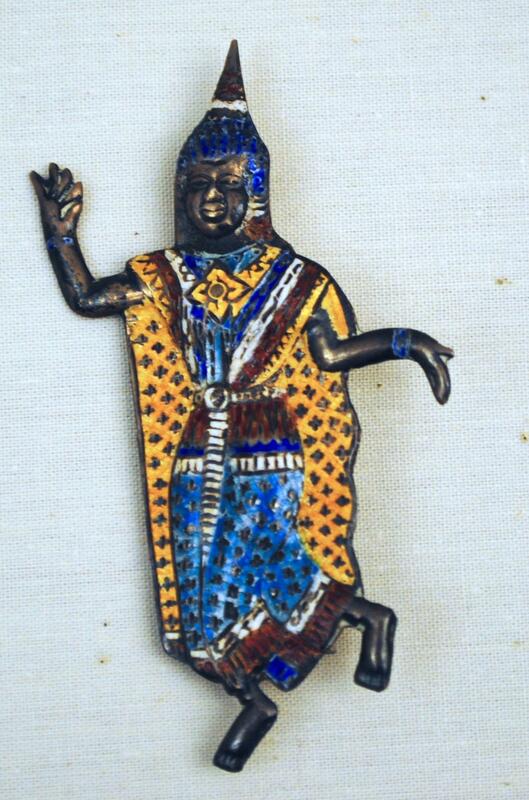 This enameled figure pin in the Command and General Staff College's collection is a gift from Thailand. Fifteen months ago, Board of Trustees member Wesley Westmoreland (his grandfather and famed Vietnam commander William Westmoreland were cousins) invited Kansas City art gallery owner Todd Weiner to Leavenworth to look at the gift collection. Weiner says he and his team of art historians were blown away by what they saw. The college’s gifts archive includes items as small as a three-inch tall silver and pigment pin from Thailand depicting a dancing bodhisattva, and as tall as the three-story stained glass windows, donated by various graduating classes, depicting battles from the Revolutionary War as well as domestic scenes representing Army wives. 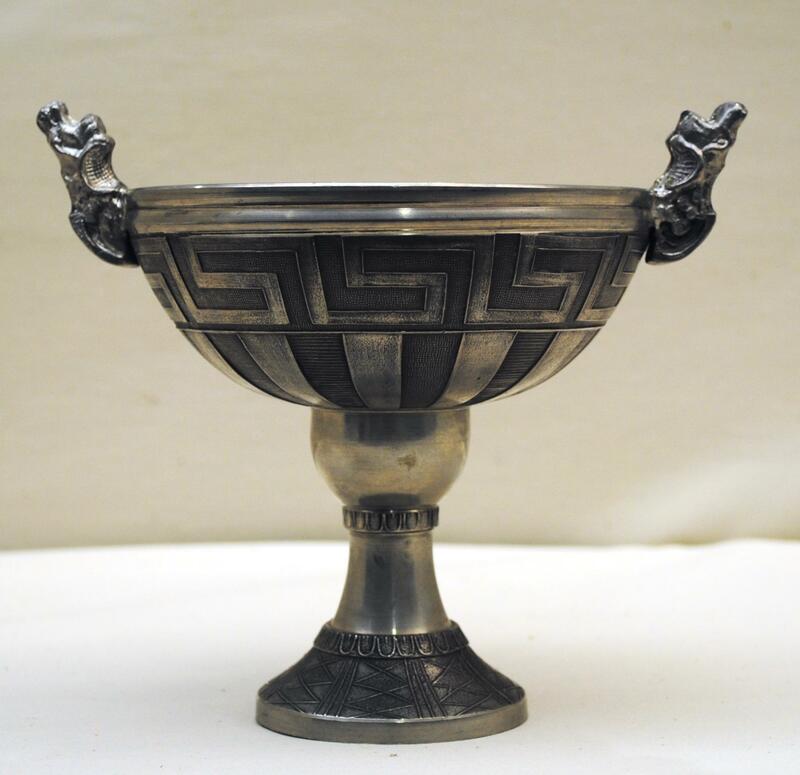 This pewter chalice in the Command and General Staff College's collection is a gift from Greece. So, after two extensive presentations about the possibilities for legacy and the historical and cultural significance of these gifts, the Army gave Weiner permission to work with the collection and curate public exhibitions. Weiner and the CGSC proceeded to start the Art of War Initiative. Its first goal is to ensure the gifts are properly preserved and catalogued. Ideally, Weiner says, they will create a searchable database with photos and full descriptions of every item, accessible to the public. A shorter-term goal is to curate small exhibitions to engage and educate the public about the collection. An upcoming exhibition at Commerce Bank’s Box Gallery will be the third such show; future exhibitions are already lined up with the Johnson County library, Johnson County Community College, Country Club Bank, Hallmark, and UMKC. The cost of bringing the collection up to museum standards is high, and the Army can’t fund the Art of War Initiative. So, Weiner says, they’re undertaking a massive grassroots fundraising effort. 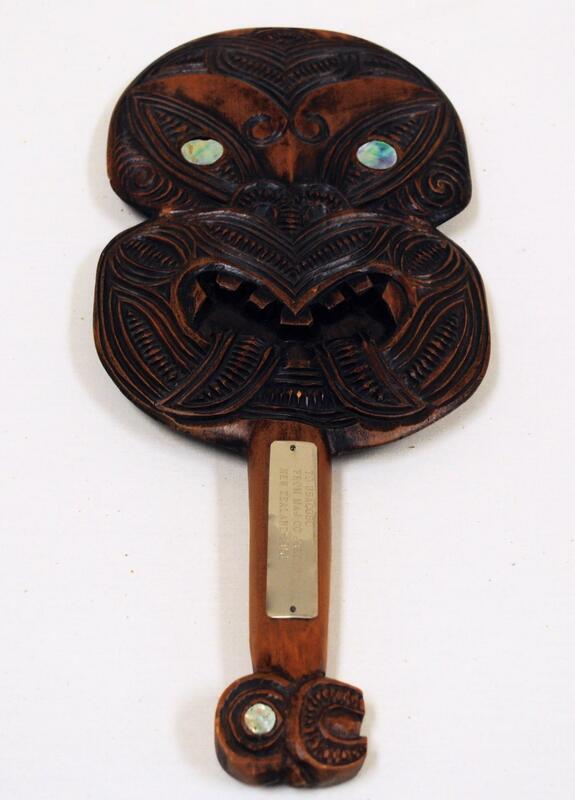 This weapon in the Command and General Staff College's collection is a gift from New Zealand. Tystad says he also looks forward to this project as a way of educating the public on what the college does. “When you look at the impact of this college on world affairs, it’s quite profound,” he says. Roughly 1,100 officers complete the 10-month course each year, Tystad says. The current class includes 110 high-ranking officers from 86 countries. George C. Marshall, George Patton, Dwight Eisenhower, Colin Powell, and Norman Schwarzkopf are all alumni of the program. Several world leaders have gone through, including the first democratic president of Indonesia and the King of Bahrain. Tystad says that while Colin Powell was Chairman of the Joint Chiefs of Staff, he was able to call classmates from the CGSC when a possible upheaval seemed imminent in one of their nations. Which means that the title of the exhibitions associated with the initiative — “Art of War: Gifts of Peace” — is not an overstatement. “There were a lot of people that thought it was too cliché, but as the scope of the initiative reared itself we realized that it’s bulls-eye," Weiner says. Art of War: Gifts of Peace, June 2-July 28 at the Commerce Bank Building Box Gallery, 1000 Walnut St., Ste. 211, Kansas City, Missouri, 64106. Reception: 5-8 p.m. Thursday, June 8. Leadership panel discussion: 5:30 p.m. Thursday, June 22. Poetry reading: 5:30 p.m. Thursday, July 13. Anne Kniggendorf’s writing appears regularly in The Kansas City Star and Ink magazine. Follow her @annekniggendorf. 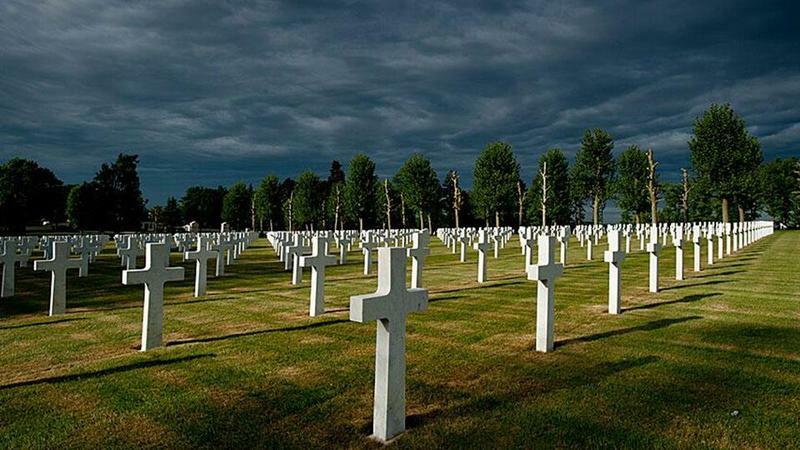 The National World War I Museum and Memorial plans several events, along with free admission for veterans and active-duty military personnel, to celebrate Monday's national holiday recognizing the men and women who've died in service to the U.S. military. "For a lot of families, it's really a significant moment to honor those who have served and especially those whose lives were lost," says Matthew Naylor, the museum's president and CEO. Many composers have set the Roman Catholic Mass for the Dead to music. 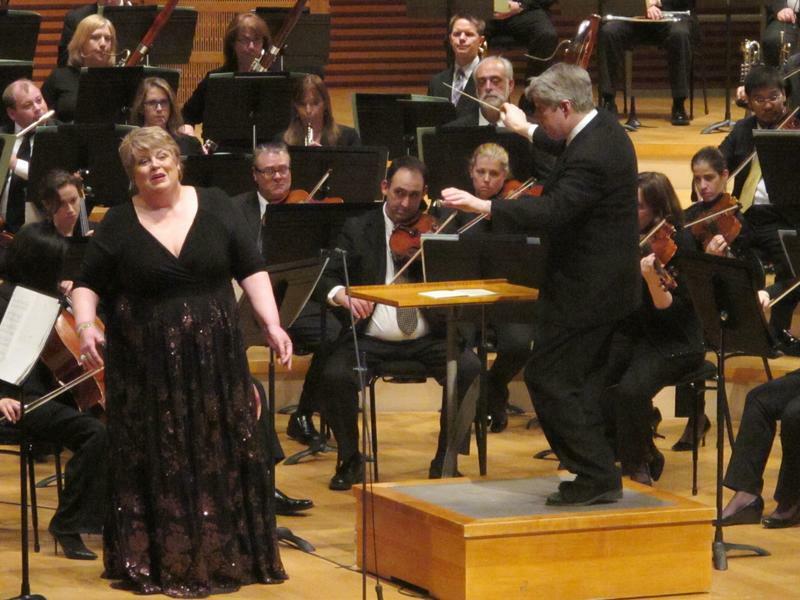 Mozart, Berlioz, Brahms and Verdi famously come to mind. Their compositions are considered masterpieces. But Benjamin Britten’s genius was to juxtapose the austere and solemn Latin of the Requiem liturgy with the visceral and searing poetry of Wilfred Owen, who served in the British Army during World War I and died in France just days before the Armistice was signed.